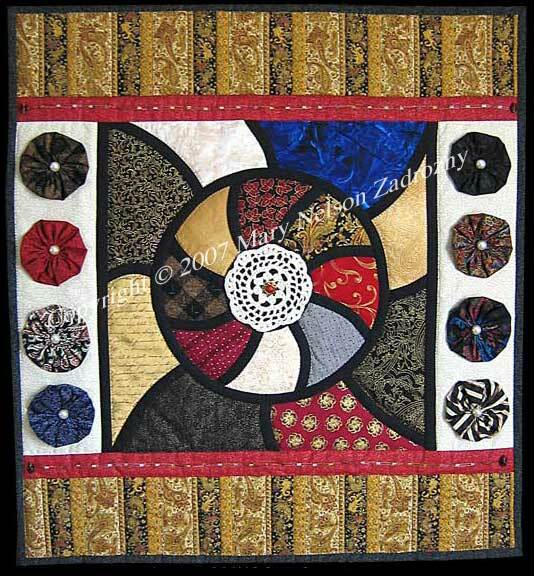 Quilt Description: This quilt evolved after creating the Going In Circles Collage. It took 36 hours to complete. Materials: Cotton fabrics, polyester batting. Embellished with yo-yos, pearls, doily, button, decorative trim, beads. Techniques: Needle Turn Applique, Hand-Quilted.